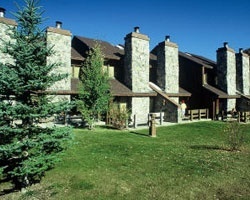 *East Canyon Resort* is a 9,600-acre retreat with accommodations that include both condominiums and a beautiful RV Park for the comfort and convenience of guests! Tennis, volleyball, horseshoes, and a playground are on-site. Nearly 100 miles of wilderness trails and a trout stream are outside your door. In warm weather, enjoy two swimming pools and two children's pools. The hot tubs are popular year-round. More water fun is minutes away at East Canyon Lake. Horseback riding is a popular summer activity. 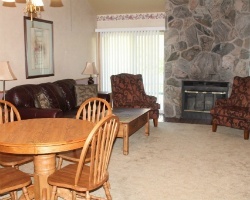 Winter activities include cross-country skiing on-site and snowmobiling nearby. Park City, Deer Valley, and the Canyons ski resorts are one hour away. For more information about this beautiful property, visit www.eastcanyon.com. 5 days in summer & 5 days in winter! All reasonable offers will be considered!